Notice: If you wish to receive periodic emailed newsletters from the Flathead Chapter, please send a request to mnps.flathead@gmail.com and then add this address to your address book and/or safe contacts. The Flathead Chapter serves the greater Flathead, Northwest Montana, and Glacier National Park area. Monthly meetings in general unless otherwise noted are the 3rd Wednesday of the month in October through April at North Valley Community Hall (also North Valley Physical Therapy)235 Nucleus Ave. in Columbia Falls. 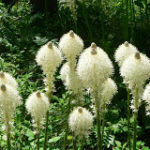 Click here for a list of native plant gardens in the Flathead area. 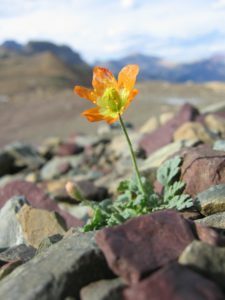 When do our Northwest Wildflowers Bloom?… Here’s a handy list. For more information, check out the Montana Native Plant Society Facebook page (https://www.facebook.com/MTNativePlantSociety) or email us at: mnps.flathead@gmail.com. Wednesday, April 17, 7:00 p.m. Utah Red Rock Desert Wildflowers. Montana Botanist and Conservationist, Peter Lesica, will take us on a virtual tour of his explorations of the Colorado Plateau country with all of its eye-popping wildflowers which are compiled in his most recently published book on the same subject. Change of Venue! United Way Meeting Room, Gateway West Mall, Kalispell. Enter on W side of building, N end. Questions? Contact Jen Hintz at jhintz2004@yahoo.com. Every Thursday in May, 10 a.m. Swan River Nature Trail. Join Anne Morley for a gentle, two-hour spring birding and wildflower identification stroll. We wander two miles along the Old Swan River Road. Meet in front of Showthyme Restaurant in Bigfork. Info: Anne at 886.2242. Tuesday, May 21, 6 p.m. Columbia Mountain Wildflowers. The Columbia Mountain Trail is a flower-lover’s paradise. Join Grete Gansauer and Ellen Horowitz for a 3-hour evening wildflower walk that travels through many habitat types, from moist, damp sites, to dry open slopes where we’re sure to find balsamroot in bloom. We’ll travel at an easy pace and make lots of stops to view big, bold blossoms & beautiful, unobtrusive ones. Moderate Difficulty (about 3 miles with less than 500′ elevation gain). Meet at 6 pm @ Columbia Mountain trailhead. Co-sponsored by the Montana Wilderness Association. Required registration opens April 29 at wildmontana.org/walks. Register early, this hike fills up fast! Sunday, June 2, 10 a.m. Johnson Terraces. Excursion to Johnson Terraces, led by Lynn Smith and Dr. Viktoria Wagner, vegetation ecologist at the University of Alberta. This gentle hike will take us to species-rich bedrock meadows on argillite bedrock. The shallow and moss-covered soils are flooded by seepages in spring and give rise to a unique flora, including the rare native plant Idahoa scapigera (scalepod, MT rank S1S2). Viktoria will share insights from her research project on this unique habitat (supported by a Small Grant from the Montana Native Plant Society). Meet at the Grouse Mountain Lodge tennis court rest area parking, HWY 93, Whitefish. This outing includes a two-mile round-trip walk and a one-hour drive each way. Bring your hand lens. For information contact Lynn at 406.250.2307 or calypsolynn@gmail.com. Wednesday, June 5. 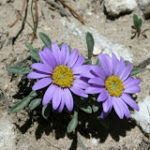 6 p.m. Whitefish Trail Wildflower Walk. Meander through the woods and learn about the wide array of colorful wildflowers that line the Whitefish Trail with Whitefish Legacy Partners and Diane Lundgren of the Montana Native Plant Society. Learn how to identify local flowers, and noxious weeds, using hand lenses and field guides provided during this 2-3 mile hike. This event is free and suitable for all ages and abilities. Meet at the Lion Mountain Trailhead at 6 pm. For more information visit www.whitefishlegacy.org, call 406.862.3880 or email margosia@whitefishlegacy.org. Tuesdays, June 18 through August 27th. Volunteer at the Glacier National Park Nursery. Help with seeding, transplanting, weeding and cleaning, or work on a research or experimental project. Bring sack lunch, your favorite work gloves and clothes that can get dirty. Drop in and work an hour or stay the entire day. Meet at the GNP Native Plant Nursery beginning at 9am. Contact Glacier Native Plant Nursery (406) 888-7835 for any questions. Saturday, June 15, 9 a.m. Buffalo Lakes Naturalist Hike. Join Lou Bruno and Rachel Potter on a beautiful, leisurely hike through the foothill country of the Badger-Two Medicine. Our destination is the top of Lubec Ridge where we’ll have stunning views of the northern Badger, southern Glacier National Park and the vast prairie grasslands to the east. Along the way, we will stop at Buffalo Lakes, a rich complex of large beaver ponds and wetlands. Expect frequent stops to identify wildflowers and birds by sight and song. This hike is tri-sponsored with the Montana Wilderness Association and the Glacier-Two Medicine Alliance. The trip is moderate, 4 to 6 miles with ~500 feet of elevation gain. Participants who chose to eat breakfast at the Two Medicine Grill can arrive at 8:00 a.m. Required registration opens April 29 at wildmontana.org/walks. Hikes fill fast! Sunday June 23, 11:30 a.m. Lichen, Mosses and Fungi of the Flathead: Medicinal Properties and Identification. Discover the small wonders of the northwest Montana’s forests with student researchers from the Flathead Valley Community College, Antibiotic Potential of Flathead Fungi and Flora research project. Before learning about their unique findings, Skye Hatfield and Raser Powell will teach us about the lichens, mosses and fungi that inhabit northwest Montana, new and rare species that have been discovered here in the Flathead, and the groundbreaking medicinal properties of these diminutive creatures. Plan on a short hike with several stops to observe lichen and fungi of the southern Whitefish Range. Meet at Swift Creek Trailhead. We’ll plan to be back at the trailhead after about 2 1/2 hours of exploring. This hike is family friendly and wheelchair accessible. All ages and abilities are welcome to join this hike and learn about this unique facet of forest ecology. Sponsored by Montana Wilderness Association. Required registration opens April 29 at wildmontana.org/walks. Register early, this will fill up fast! Sunday, July 21, 9 a.m. Red Meadow Lake/ Lake Mountain, Whitefish Mountain Range. Join the search for the rare slim larkspur (Delphinium depauperatum) in subalpine meadows near Red Meadow Lake in the Whitefish Range. If we are lucky, we may even relocate a population of sweetgrass (Hierochloe odorata) that was found in the same location over 35 years ago. After we have explored the wet meadows, we will hike to the Whitefish Divide and climb Lake Mountain where we will enjoy scenic views into Glacier National Park and the North Fork of the Flathead. Join Maria Mantas, plant ecologist, to search for these species of concern and document their occurrences. Moderate difficulty. Trip limit is 12 people. Call Maria at 406.407.2045 to reserve a spot and for details on meeting location. Saturday, August 3, 11 a.m. Introduction to Native Solitary Bees. Join Leah Grunzke at Center for Native Plants for an introduction to native solitary bees! Leah will show us the types of solitary bees, how they differ from honeybees and bumblebees. 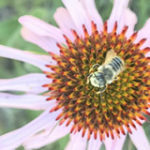 Gardening tips to encourage native pollinator conservation, and how to establish and care for wild bee nesting sites. Leah is a botanist and educator based in Lewistown, Montana. She has spent the past two decades studying native plants and pollinators, working with nonprofit organizations on conservation outreach, developing curriculum for schools and informal science education programs. She also builds wild bee houses to accompany her workshops on backyard pollinator conservation. For more information about Leah visit http://montanaflora.blogspot.com/ Bring your lawn chair as seating is limited. Co-sponsored by and located at Center for Native Plants, 5605 US HWY 93 S, Whitefish. August, Date TBA in June To Bee or Not to Bee? Creating Pollinator Habitat in Your Backyard. Come join the Flathead Conservation District for a free workshop and learn about pollinator conservation in your backyard. During this two-hour workshop, we’ll focus on how you can use native plants to provide forage, nesting, and overwintering habitat for our native pollinators – no matter how big or small your garden is! This workshop will take place at the Flathead Conservation District’s newly constructed demonstration garden. Due in part to a very generous grant from the Montana Native Plant Society, it will showcase a variety of native, pollinator-friendly plants and different design methods. Meet at Flathead Conservation District Office, 133 Interstate Lane, Kalispell. Questions, contact Hailey Graf 406.752.4220 or hailey@flatheadcd.org for date. Here is is a plant list that Sally Thompson provided based on her book “People Before the Park” that details plants mentioned in a presentation to the Flathead Chapter in February 2017. Don’t forget, for pictures, stories and updates on the Flathead Chapter or contact us at mnps.flathead@gmail.com.